In the series of providing quantitative shortcuts and tricks, today I come up with multiplication trick. While doing multiplication of a two digit number with another two digit number, we take at least 6 steps. Try yourself. Multiply 62 with 32. First step is same as the conventional method, here we multiply 2 with 2. This is an interesting step. Now multiply last digit first value and first digit of second value and vice-versa. Then we add outcomes. But we need the last number that is 8 here. This is the last step, in this step we do multiplication ten's digit of both value and add the remainder from previous calculation. That's it, we completed the calculation in 3 steps instead of six steps. 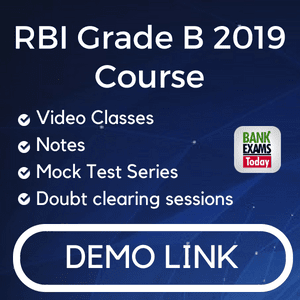 We can use this method for multiplication of three or even four-digit numbers but time management is really important in IBPS exam and other recruitment exams so, for longer calculations, estimation is the best trick. I will post an article about how to do long calculations using estimation and result is 95% accurate which is enough to arrive at the answer. As two of the readers namely Rahul and Ansh have requested me to use this technique in longer calculations multiplications. I am updating this article. 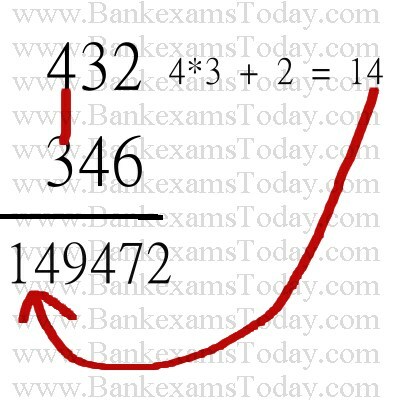 In this example I will multiply 432 with 346. Now the 3 step multiplication method will become 5 step. 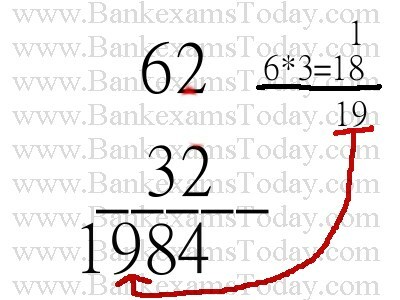 This method can be used for 4 and even 5 digit numbers but as in bank exams there is lack of time available for calculations I recommend you to use the approximation for long calculations. In case you find any difficulty to understand the above multiplication method then ask your question in the comments. I will try to answer every query asap. Thank you for this sooperb tricks..I tried for 3 digit to 2 digit numbers. But i din get the answer. Help me in this regard ..
HII...FOR 3 DIGIT NUMBER HOW CAN WE REMEMBER THESE MANY STEPS TO BE MANDATORY FOLLOWED?? why you are so dumb divya! I am very happy and thankful for these nice tricks..but please also give a trick to "multiply 2 digit number with 3 digit number(and more)"..weather this trick is applicable for those multiplication? 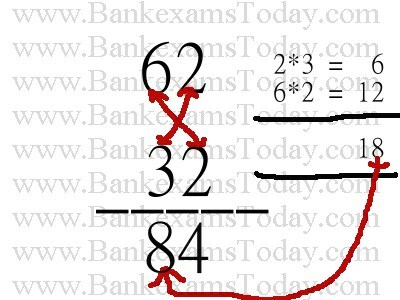 I think this is bakwas trick..........Simple multiplication method is best method...... & No confusion. Please look at above examples. I did that. 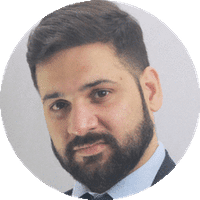 @rahul I have updated the article. This is not estimation, this a vedic maths trick. Please share this article on Facebook and Twitter as I made lots of efforts for you. In case you are confused about any topic, please leave a reply, will try to write about that topic. if you like to multiply 3 digit no with 2 digit number you have to add a zero before 2 digit number ex. does the above trick, told by anonymous, is specific???? Thank u so much..i was very much confused..now set..
from left onwards u just need to remember for 3 digits |*|. thanks your very much sir this short thick is very nice. This is not more useful for ibps. use simple calculation is less time taking as comparison to above tricks.